CAB Latchbacks are high quality hangers designed for supporting hose, pipe and cable from roof bolt plates, spads, wire mesh or structure. 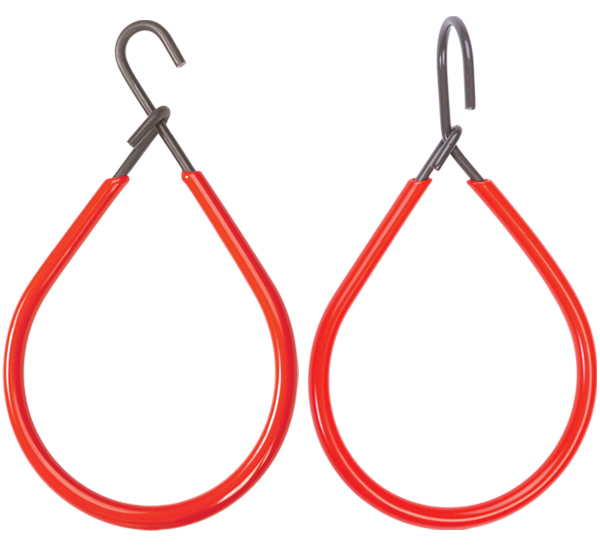 Manufactured from high tensile spring steel for maximum strength with a 5/8” (16mm) diameter top installation loop. CAB 321 same as 320, but top loop is offset 90º to carrier section. CAB Super Latchbacks are made from .187 (4.7mm) high tensile spring steel and feature a large capacity 4-1/2” (114mm) diameter carrier. 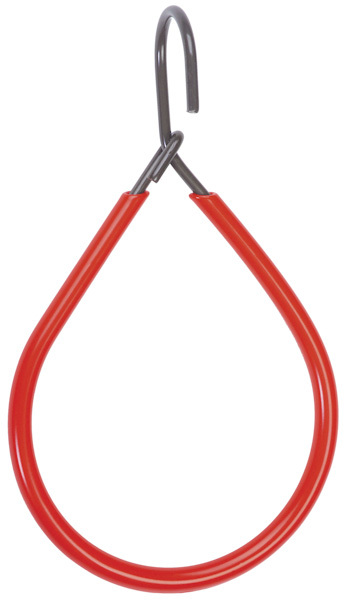 For easier installation, hanger has extra large 1-3/8” (35mm) diameter 90º offset top installation loop.